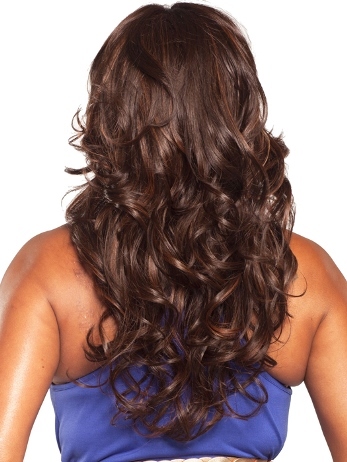 Britney is a long layered wig style featuring long and loose body curls and side swept bangs, this African American wig style is popular for its natural beauty. The Deep Lace Front and Pure Stretch Cap construction ensure maximum comfort and coolness. It is also made from heat friendly fibers making it stylable to your choosing. 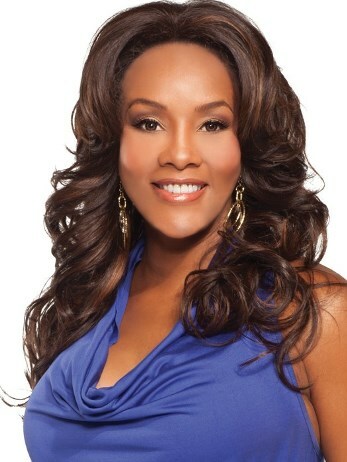 Deeep Lace Front - 2.5 inch hand tied lace part allows movement for different arrangements and flexibility in styling. Front: 8" Crown: 11" Back: 23" Nape: 16"